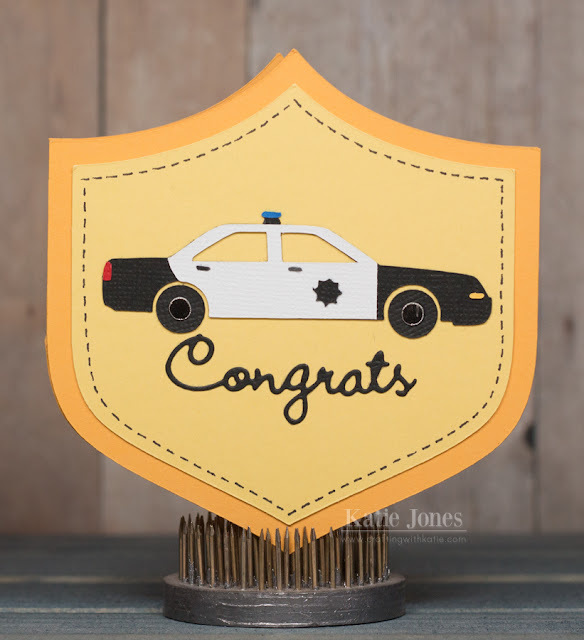 My son's best friend Tony graduated from the police academy a couple of weeks ago, and I wanted to make a special card for him. I decided to make a shaped card, using a badge cut that I found in the Cricut Create a Critter cartridge. I then found a police car cut in the Silhouette Online Store. Finally, I added "Congrats," made with a die from My Creative Time's Mini Greetings. We're so proud of Tony!!! Great shape for the grad!